Looking for deals in Valencia? Set on the seafront of Las Arenas Beach and its promenade, Hotel Boutique Balandret offers an on-site restaurant and bright rooms with free WiFi in Valencia. Excellent hotel, great location just by the beach, very clean rooms, awsome design. Totally coming back! Featuring a restaurant and bar on site, Vincci Mercat is located in Valencia, less than 328 feet from the city’s Central Market. great extraordinary staff! especially the receptionist that described to us the bank holiday march course on a map. pool is not really big, even though the hotel was the best and had good atmosphere. would definitely choose this hotel again. parking is underground clean and safe for any luxury car. Hostal Venecia is in Valencia's main square, la Plaza del Ayuntamiento, a 5-minute walk from Estació del Nord Train Station. It features free Wi-Fi access, rooms with balconies and flat-screen TVs. Everything’s near My next time to stay with more time. Located on a pedestrian street, this hotel is 656 feet from Valencia Train Station, and just 164 feet from Plaza del Ayuntamiento Square. Excellent location, a short walk from the Xativa underground station that goes directly to the airport and also a short walk from the main square. Everything was clean, comfortable and well maintained and the staff were friendly and helpful. The breakfast was very good and the breakfast room overlooks the street at first floor level giving an excellent view over the street activity. Hotel Malcom and Barret is located in Valencia, 5 minutes' drive from the City of Arts and Sciences and Estació del Nord Station. The staff of the hotel is really friendly! Rooms are clean and nice. Especially beds are homey. Vincci Palace is located in central Valencia, 5 minutes’ walk from the Cathedral. It is an attractive design hotel offering elegant rooms with satellite TV and free internet access. Everything was excellent, restaurant, service, location. I recommend this hotel! Wonderful! Hotel Continental is in central Valencia, a 5-minute walk from Estació del Nord Station and next to the city’s main square. It provides a 24-hour front desk and rooms with satellite TV. Location and staff. I was really happy for having chosen this wonderful hotel in Valencia. Located 10 minutes' walking from the Valencia Cathedral, One Shot Colón 46 offers air-conditioned room and free WiFi throughout the property. The location was excellent and the hotel was beautiful. Located 328 feet from the Turia Gardens, in Valencia’s Old Town, Hotel San Lorenzo Boutique offers stylish rooms with free WiFi. The hotel is 656 feet from Torre de Serranos City Gate. Outstanding location. Very comfortable bed, clean room and spacious bathroom. Located in Valencia’s historic center, just 1312 feet from Valencia Cathedral, Ad Hoc Carmen hotel offers a 24-hour front desk and free WiFi throughout. Amazing value and location. Double storey family room in the heart of the historic district. This modern Melia hotel is next to Valencia’s Palacio de Congresos Congress Center and 3.1 mi from the AVE Train Station. Beniferri Metro Station is just 1312 feet away. Being the last point of destination in Spain, it was the climax of my trip with the family. 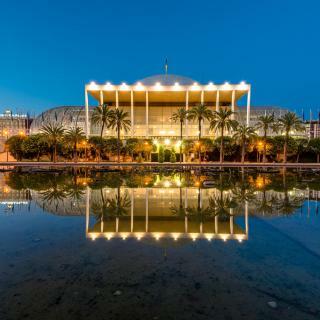 Senator Parque Central Hotel is located in central Valencia, 15 minutes’ walk from Xativa Station and the Old Town. This modern hotel offers free Wi-Fi, a fitness center and sauna. Room was excellent for family. It had high sealing perfect air conditioning, clean bathroom. Sweet Hotel Renasa, located next to Valencia University, offers large, modern rooms and a restaurant. All rooms have air conditioning, laptop safe and satellite TV, as well as a seating area. This hotel was in a good location with a few restaurants, bars, supermarkets nearby. Less than half a mile from Valencia's impressive City of Arts and Sciences, this designer hotel offers a gym and seasonal outdoor pool. Good Location!! You can find a Bus stop just a few steps to go everywhere, good option to staying!!! Vincci Lys offers spacious, elegant rooms with free Wi-Fi, satellite TV and mini-bars. Located in the center of Valencia, it is only 984 feet from Valencia Train Station and Valencia Town Hall. Excellent location so close to the station. Featuring a shared lounge, Boutique Creative Rooms is located in the Ciutat Vella of Valencia, a 10-minute walk from Mercado Central, Valencia. Had to make a last minute check-in but everything was fluent and pleasant. The Hotel Kramer is located 2.2 mi from the center of Valencia, 984 feet from Turia Metro Station. It features a bar, rooms with satellite TV and free WiFi access throughout. Friendly staff, clean modern room, good Spanish Breakfast, close to metro and long haul bus station. Located in the center of Valencia, next to Plaza del Ayuntamiento, One Shot Palacio Reina Victoria 04 is an elegant hotel offering spacious, air-conditioned rooms. Free WiFi is available throughout. Amazing location, walking distance to the main tourist attractions. How much is a hotel in Valencia for tonight? On average, it costs £80 per night to book a 3-star hotel in Valencia for tonight. You'll pay around £116 if you choose to stay in a 4-star hotel tonight, while a 5-star hotel in Valencia will cost around £167, on average (based on Booking.com prices). Which hotels in Valencia offer an especially good breakfast? For hotels in Valencia that serve highly-rated breakfasts, try Las Arenas Balneario Resort, Hospes Palau de La Mar, and MARQUÉS HOUSE 4* SUP. How much is a hotel in Valencia for this weekend? The average price per night for a 3-star hotel in Valencia this weekend is £169 or, for a 4-star hotel, £189. Looking for something even fancier? 5-star hotels in Valencia for this weekend cost around £273 per night, on average (based on Booking.com prices). 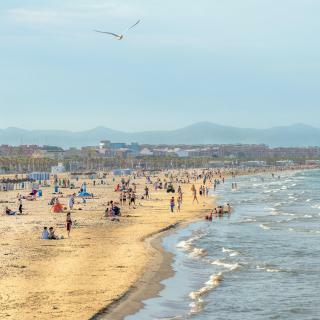 What are the best hotels in Valencia near Malvarrosa Beach? Some of the best hotels in Valencia near Malvarrosa Beach include Piso en Malvarrosa, 5 SENSES and Piso en Malvarrosa. Which hotels in Valencia have nice views? Melia Valencia, Las Arenas Balneario Resort, and Opera House Valencia B&B got great room view-related reviews from travelers in Valencia. 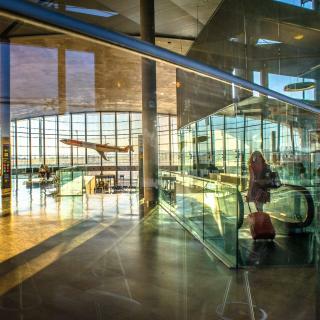 What are the best hotels in Valencia near Valencia Airport? Travelers who stayed in Valencia near Valencia Airport (VLC) have said good things about Ibis Budget Valencia Aeropuerto, Travelodge Valencia Aeropuerto, and Tryp Valencia Azafata Hotel. Which hotels are the best ones to stay at in Valencia? Hotel Boutique Balandret, One Shot Mercat 09, and Hostal Venecia are some of the popular hotels in Valencia. How much does it cost to stay in a hotel in Valencia? On average, 3-star hotels in Valencia cost £59 per night, and 4-star hotels in Valencia are £79 per night. If you're looking for something really special, a 5-star hotel in Valencia can be found for £172 per night, on average (based on Booking.com prices). 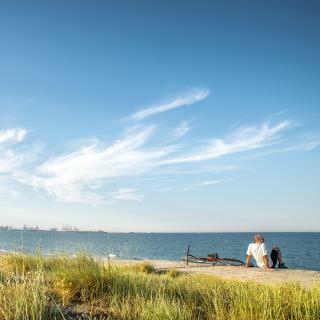 Which hotels in Valencia are good for couples? These hotels in Valencia are highly rated by couples: Opera House Valencia B&B, MARQUÉS HOUSE 4* SUP, and Caro Hotel. 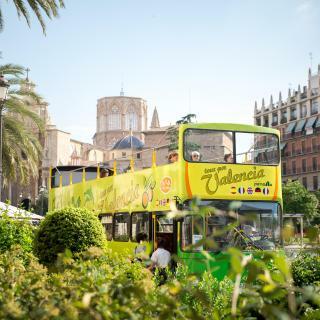 Which neighborhood is the best one to stay at in Valencia? Jesus, Ciutat Vella, and Eixample are popular with other travelers visiting Valencia. Which hotels in Valencia are good for families? Many families visiting Valencia loved staying at Opera House Valencia B&B, MARQUÉS HOUSE 4* SUP, and MD Design Hotel - Portal del Real. 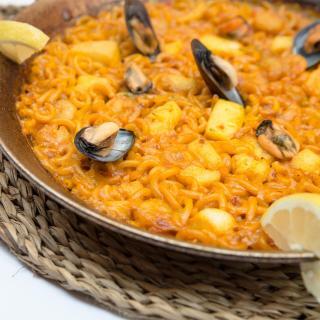 As the city that brought paella to the world, Valencia is a culinary delight. 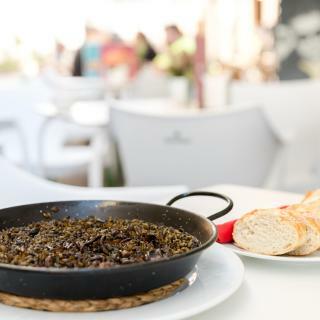 Don't miss out on sipping fresh, local orange juice or enjoying tasty tapas in a sidewalk café. Wandering this relaxed city is like taking a walk through history. From the Roman remains in the archaeological museum to the futuristic City of Arts and Sciences, the architecture ranges from the dramatic to the sublime. A mix of styles from the outside, medieval Valencia Cathedral comes into its own inside. The gilt carvings and vibrantly-painted dome are a sight to behold. 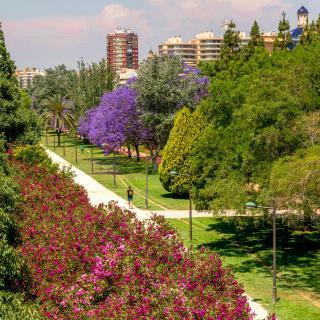 The greatest triumph of city planning is the Turia River Park. Created on the bed of a redirected river, it provides much-needed shade in a city with an impressive sunshine record. Of course, you can always cool down on the fantastic beaches, lapped by warm Mediterranean waters. Former hosts of the European Grand Prix, Valencians take their sport seriously and so they should. Try to take in a match at the 75,000-seater Valencia FC stadium to experience the electric atmosphere. As Spain’s 3rd largest city, Valencia has wild nightlife, so if that’s your cup of tea, city center hostels are a great choice. Alternatively, Booking.com also has guesthouses, central apartments and even hotels near Valencia Airport. Beautiful city with lots to keep you occupied. Beautiful city with lots to keep you occupied. The Science Center is a must to visit. We ate at a fine restaurant in the old city and were surprised when a Flaminico started to perform after supper so got to enjoy a good a good show ay no extra cost. The city is diverse, with architectural marvels from the medieval to the modern times. What surprised me most was how much space the parks took up and even more so how accessible the city is by bike/scooter - there are designated lanes crisscrossing the city and all sidewalks are lower to allow easy bike/stroller/wheelchair passage. Loved the Bioparc, the Oceanografic, and the sea! Oh, and the orange blossom smell in the streets was something I did not expect but enjoyed so much! Lots of fun. Plenty of options for different types of travelers. If traveling with the young ones the oceanarium and the Bioparc are amazing. Walks to be able to enjoy the Breathtaking Architecture are a must do! Beautiful city, wonderful people. Fascinating place with much to see, both old and new. The food is fresh and delicious. It can't really be described in a way that does it justice. Go and see for yourself. Amazing place. Valencia is beautiful. It’s the perfect balance of being easy to navigate as a tourist without being crowded and over touristy like Barcelona. The silk exchange is beautiful, the market is wonderful and you can get the best paella here. Beautiful city with beautiful streets. Beautiful city with beautiful streets. Fell in love with the culture and vibe as soon as I stepped outside. Great restaurants everywhere, a lot of public transport options, beautiful parks throughout the city to just sit down and chill. Best hotel breakfast I've ever had! Location was excellent, overlooking the City of Arts and Sciences. Halfway between the old city centre and the beach. We hired bikes for a week (not from the hotel as found cheaper in town) and used them constantly to get around. Very safe cycling through the main park next to the hotel. Room on 9th floor was spacious and well designed with plenty of storage. Rooftop bar has lovely views. Black out blinds and big comfy bed meant we slept very well. The option of having breakfast in bed was ideal, along with the wake-up call everyday which was nice. The lady who served us our breakfast 3/5 days was very lovely. Having the use of all the equipment in the kitchen was ideal. We where able to buy food in, allowing us to make pack ups and even have our dinner in. Cheap alternative to eating out every night. Having our own balcony with seating was a nice way to relax at the hotel but without being inside. + Comfortable HUGE bed. + Great location (bus 2 can either take you to the beach or to the bus station), 10 mins walk to Ciudad de las artes. By night you could go for cheap tapas at the bars in Ruzafa neighborhood. Also, just outside there is a great coffee place. + Amazing modern facilities: It has an indoor pool, sauna, gym and bikes for guests. + The staff is very friendly and helpful. + Wifi reliable everywhere in the hotel. + Quiet. Great little hotel. rooms nice and clean. staff very helpful in all aspects. Rooms small but nice Bed to die for. Great location if your prepared to cycle into centre about 15 min Taxi 7 euro. Ample parking around hotel. Storage for bikes if you have your own otherwise rental from hotel cheap enough. Big 4 stars from us. Thoroughly recommendable Big thanks great stay. Valencia. Big thumbs up. The room was fantastic. The bed was the most comfortable bed from all the hotels i stayed in Spain. The room lights were cool. Nice big window to see the main street below. The gentlemen that work in the lobby were very helpful when assisting with directions. Loved this hotel. I did not have the breakfast. The stuff is very polite and always ready to help you. They give you excellent tips for Valencia, what to see and where to go. The hotel is very clean, the rooms spacious and the location is perfect-just put your swimming suite and after the delicious breakfast go straight swimming enjoying the great beach. Very well located, clean room and bathroom. The hotel is in the house of 19th century with amazing vestibule and high ceilings. The stuff (especially Kseniya) were absolutely incredible, they explained me everything about Valencia and gave advice about where to eat. Location is perfect. Right on the beach with all restaurants directly bellow. I could park my car in the street below the hotel. Wi-Fi was good. Room was clean and modern design. View of the long beach and sea. Friendly and helpful staff. The property is in a perfect location. The staff could not be more polite or helpful. The room was immaculate. We had a great stay. Hotel is an easy walk from the Valencia North train station. Will definitely go back. Perfect location. Extremely close to every sights or transporting to the sights. Incredible breakfast. Super trendy, super comfy in a pretty old building. Friendly staff. This hotel is probably my favorite part of València. This hotel is absolutely stunning, didn’t expect it to be so nice considering how cheap it was. Travelled over from Scotland for the Celtic vs Valencia game. Beds are sooo comfortable! Beautiful hotel, made my stay in Valencia a fantastic experience - spotlessly clean, excellent quality of service, great staff, simply the best. Really great location for the Mestalla stadium. Taxis to anywhere in the city are fairly cheap and it's a clean comfortable hotel. Everything was excellent. From checking in to the location, you will not find a better hotel in Valencia. Location and staff. I was really happy for having chosen this wonderful hotel in Valencia. the hotel is located in an excellent area, buses to the beach are every 10 mins for 1 euro 50. Walk into the centre takes approx. 15 mins, cathedral 10 mins, market 10mins, bike hire excellent, cycle to the bio park, bus to the the aqua marina, bus stop right outside. Staff very attentive, good knowledge of area and what to see and do. Pool excellent but no shade which is the only negative point. Room was excellent for family. It had high sealing perfect air conditioning, clean bathroom.